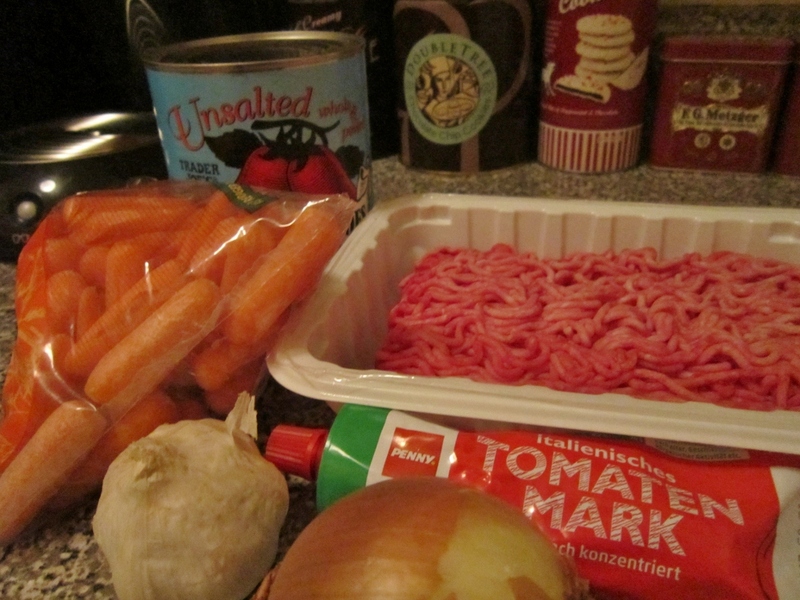 one of my favorite pasta sauces is bolognese sauce. back in germany, whenever I tried a new restaurant, I ordered their bolognese and decided if it was worth coming back. it is actually quite easy to make, it just takes some time to cook right – as every tomato sauce. and it is very important to add some sugary which brings us to my ‘secret ingredient’. but we will get to this later. starting with the meat, I season it with salt and pepper and let it brown. once to my liking, I take it out and put it on the side. I get rid of some of the fat and juice and use the same pan to roast the onions. those I cut into small cubes and add the garlic to it once they are a little brown. just make sure not to burn either so they won’t become bitter. I grate the carrots directly into the pan and keep those cooking for a bit. then I add the tomatoes. I use canned whole peeled ones, so I can cut them to how I like it. a lot of times I had a lot of junk parts on cans of crushed tomatoes. 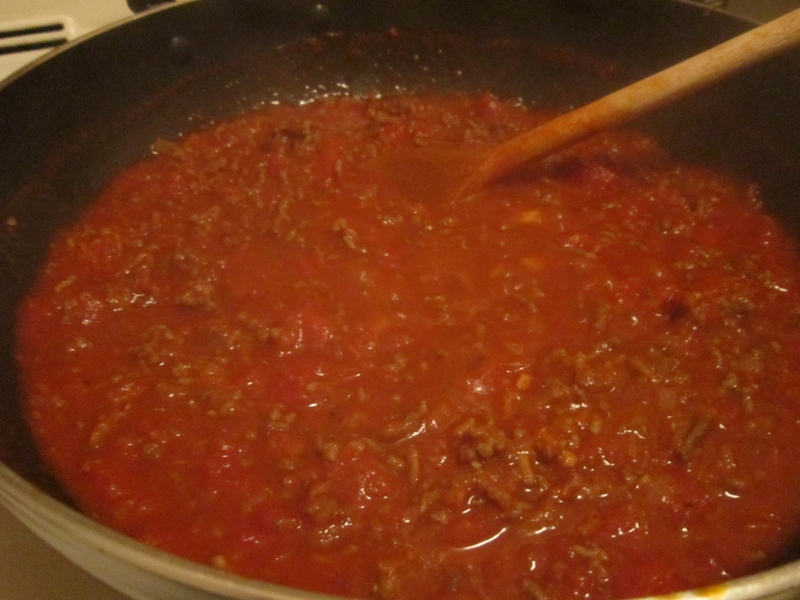 you could also use the tomato sauce, depending on if you like chunks in your sauce or not. I add more salt, maybe cayenne pepper or even sambal oelek as I like it a little spicy and use fresh or dried herbs – thyme, rosemary, oregano etc. whatever I have at home. once everything is cooking nicely, I add the meat again and let it simmer for a while. to thicken it, i use the tomato paste. make sure to taste it afterwards, it will need some more, especially salt. and as my mom taught me, every savory dish needs a pinch of sugar as well as everything sweet needs a pinch of salt, we now come to my secret ingredient. as I hardly use sugar for anything, I didn’t have any sugar at home one day when I made a tomato sauce. opening the fridge, I had some leftover coca-cola. poured it it, let it cook and am not using anything else since then. might sound weird, I know, but trust me, it tastes great! Coca-Cola? Ach, das werde ich mir wirklich merken!